Alpine Elements are an Active Holiday specialist based in the UK who have been operating for over 18 years and take over 22,500 clients away to France, Austria and Greece every year! They are members of both ABTA and ATOL and organise winter and summer holidays with the ski and snowboarding holidays operating from their own hotels and chalets. Different ski resorts generally cater for different levels and abilities of skier and snowboarder. Most large resorts will have terrain to suit all abilities but nearly all have a slight bias towards a particular standard. Pick a resort as a beginner that has a bias towards more advanced skiers and you could end up very frustrated, or worse, scare yourself silly and never want to ski again! French resorts such as Tignes and Meribel are ideally set up for beginners, with a large number of gentle beginners slopes which are easy to access. If going in a mixed group however, it’s important to have the option to ski more advanced slopes for those in the group that have been before. Don’t forget also that you either want a resort that is lively with plenty going on in the evenings, or a more relaxing quieter option. Very often the apres-ski can make or break a holiday and determine whether you have a great holiday and would want to go again..
Until you’ve been skiing and decided that you’d like to go again, it’s unlikely that you will have your own equipment. Most resorts that cater for beginners and have a decent set of learner slopes, will also have ski hire shops that can cater for beginners needs. There are many factors when it comes to selecting equipment to hire for a beginner. Longer skis tend to be more stable, but won’t turn as quickly or easily as shorted skis. The boots also have to be a good fit and the right style – you’re going to be wearing them most of the day for the duration of the holiday, so they should be comfortable. Those with larger ankles and calves or a high instep will probably find a 2 piece shell style boot more comfortable than the newer 3-piece shells. 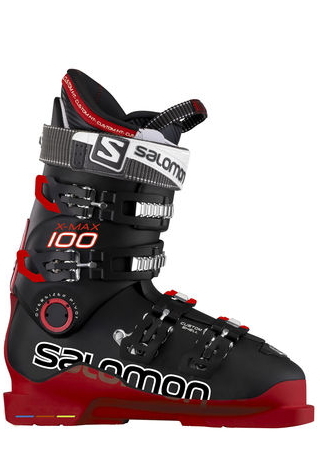 There’s a post on ski boots selection here, but the hire shop is probably the best place for advice. In the past it was also common place to ski without any head protection. Those days are long gone now and it’s generally frowned upon for skiers and snowboarders not to be on the slopes without a helmet. It is still of course up to the individual, but some resorts are considering making helmets compulsory..
It’s all very well having a friend or relative teaching you the basics of skiing, but unless they’re an expert skier or a trained instructor, they’re likely to pass on any bad habits that they have. I know, for example, that I’m a lazy skier and don’t bend and flex enough – I don’t think I would ever consider trying to show someone how to ski! It’s so important for everyone’s safety and enjoyment that a beginner gets started in the right direction, learning all the basics to stay out of trouble, and very often only a qualified instructor can do this effectively. Most resorts have a range of ski schools to choose from, from the local ski school (ESF in France) through qualified independents and even English instructors teaching locally (BASS for example). Lessons can range from intensive one-to-one tuition to groups of beginners at the same level, depending principally on your budget. Group lessons can be fun, but also frustrating if you don’t pick up the basics as quickly as the rest of the group, or if there are others there who have been before and make you feel slow to learn. It’s easier said than done, but it is very important that the beginner learns to keep their head up at all times. It’s very easy from the start to keep looking at the skis to see that they’re pointing in the right direction or not about to cross over etc. As confidence and control grows however, keeping your head up will allow you to see not only obstacles in you way (other skiers for example) but also the terrain that you’re about to ski into. Keeping your head up and looking down the slope also helps to keep your balance and of course take in the scenery.. It might sound obvious, but skiing is supposed to be fun! It’s very easy to get too self conscious and worry about falling over in front of everyone else, but everyone falls at one time or another. There’s a saying that I use every time I take a tumble -‘If you don’t fall than you’re not trying hard enough!’ At least that’s my excuse. Have fun and enjoy yourself and you’ll keep coming back for more.